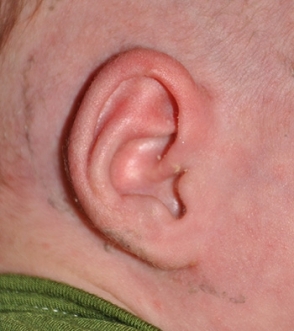 This 6 week old infant shows a Helical Rim Deformity, during their initial visit and after 6 weeks of ear molding treatment. 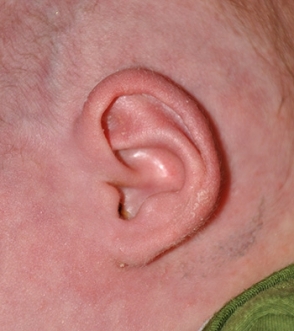 This 1 week old infant shows a Helical Rim Deformity, during their initial visit and after 6 weeks of ear molding treatment. 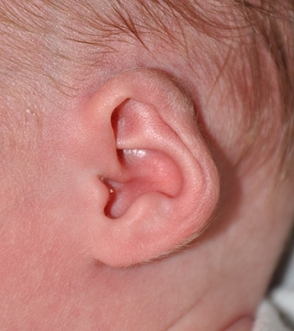 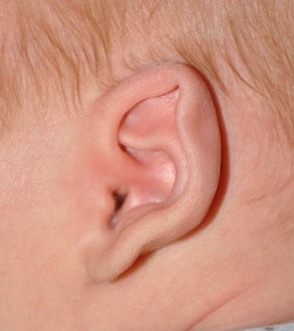 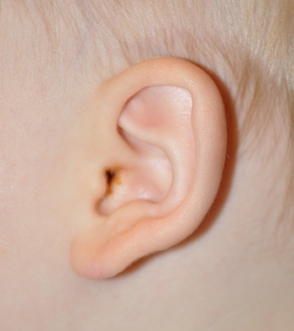 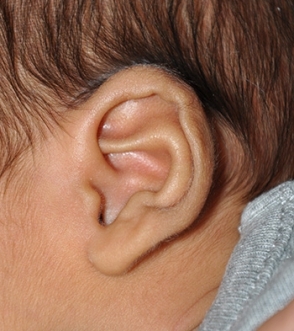 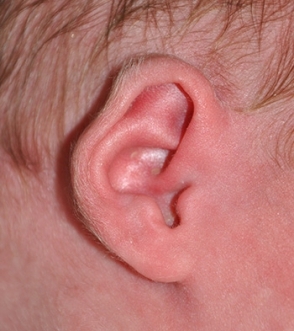 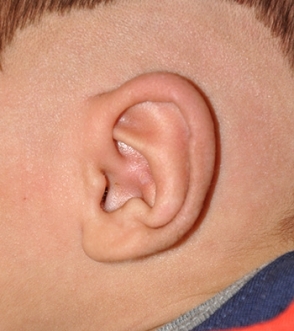 This 3 week old infant shows a Helical Rim Deformity, during their initial visit and after 6 months post-op, following ear molding treatment.